The Financial District "FiDi" is the main central business district in San Francisco. Many large businesses have corporate headquarters in the area, including Fortune 500 companies, law firms, insurance companies, real estate firms, banks, and other financial institutions. Also located in the neighborhood are the city's tallest buildings. 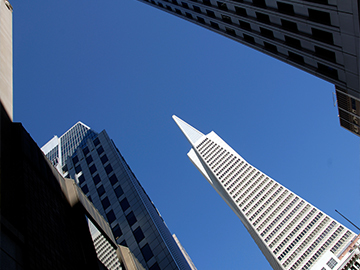 Convenient parking is available to employees, business owners, and visitors of FiDi. Daily and monthly parking specials are offered at many locations. Click on the location address to get details like rates and hours of operations.